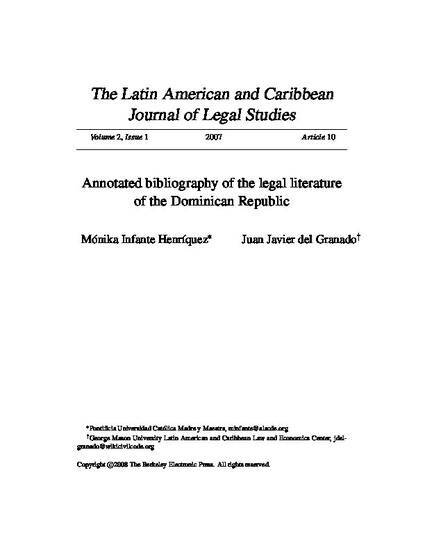 This article assembles a suggested reading list of law books from the Dominican Republic for those seeking to explore and delve into the richness of this national legal literature. Although the authors are careful to point out that broad conclusions are not supported by their limited methodology, the books were chosen for their scholarly authority. The books make up a core of distinctly doctrinal sources (digests, annotated codes, encyclopedias, treatises, and certain monographs) recommended by legal practitioners from across the nation.